Shrimp Springrolls are so easy to make – perfect vegetable and shrimp appetizer or snack and everyone always wants the recipe ! 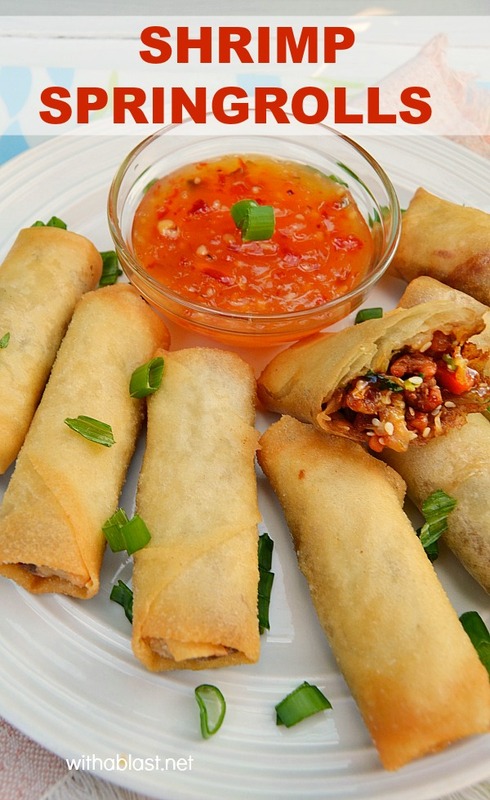 Once the filling is made, which is already so quick and easy, all that needs to be done is wrapping the mixture in Spring Roll Wrappers and a quick deep-fry – Voila ! and it’s ready to be served. 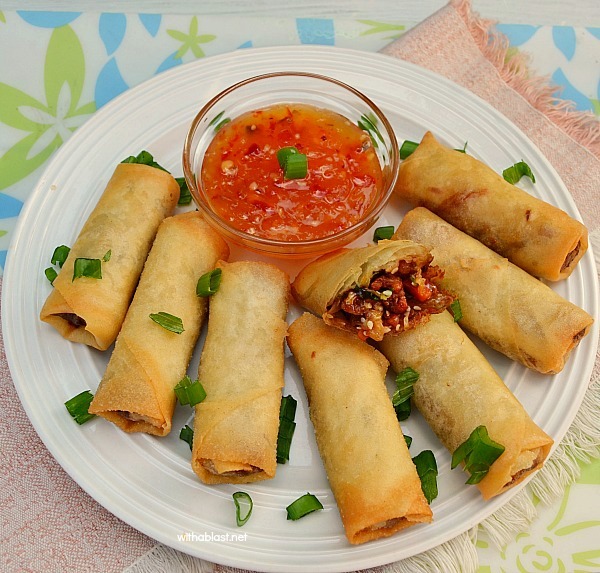 We have since enjoyed these Shrimp Springrolls at least a dozen of times per month and that is a lot of repeats for me as I do not like to make the same dish (any dish mostly) more than once in 2 – 3 weeks. But, then again, this is a snack and we are a snacking family, especially over weekends. During the week I make this as an appetizer, as I can make the filling ahead of time, and even fill the rolls, therefore all that is needed is a quick dunk in the deep-fryer. 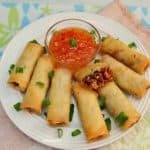 I have also experimented with various vegetables in these Shrimp Springrolls, but the recipe below is a winning combination by far. Serve with a dip of your choice. I personally prefer a good sweet and sour sauce. 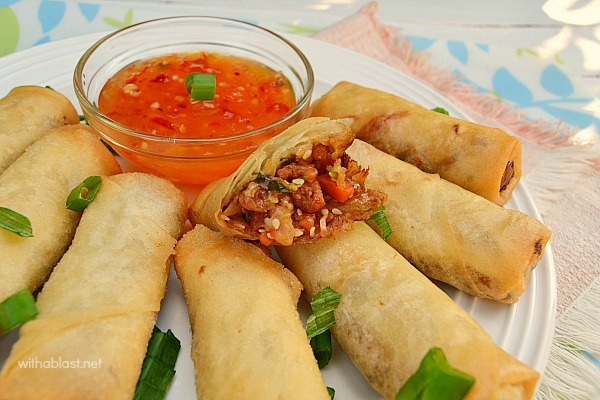 Very nice spring roll recipe, I like to try it sometimes. I usually buy the, already made – but this looks so easy and delicious!! I need to make this soon!